In a market as robust as Boston's, there clearly shouldn't be anything that would make a seller think twice. In fact, if you ask any real estate agent in town, now is the perfect time to sell since the market is lacking inventory and buyers are on the brink of desperation. These buyers are snapping up condominiums, lofts, multifamily homes, and even commercial space in order to expand their portfolio, coming off from four years of investment inactivity due to the recession. Often and obviously, people would like to take make the most bang for their buck. Listing your home within your comfort level is good, but take into consideration the market. The best price for your home sale is what bueers are willing to pay, and in a dense city like Boston, that's a lot! Research about your neighborhood and what the per square feet price range is like. Don't hesitate to lower down your price a little, to get the sale. You'd be surprised what a couple of hundred (or thousand, if you're generous enough) knocked off the original asking price can do for you. Always remember that you're in it to win it: you're still making money and riding yourself of a risk, however "good" the market is. DON'T BE TOO GREEDY. TAKE THE OFFER. If a purchase offer comes in a week after you've listed, do what's in your power to close the deal. We've seen a lot of first-week deals that have fallen through because the seller wasn't open to negotiating. In worse case scenarios, the listing often goes stale and its selling price is reduced significantly when re-listed (more than what you've taken off if the deal was closed in the first place). If you're confronted with this kind of scenario, think of the long-term market conditions, as well as your financial health. There's always the risk that market conditions will worsen, and today's low offer might end up to be tomorrow's best price. PRICE IT LIKE IT'S HOT. Often wondered what price range searches are like? Most search engines, whether online or manual, are divided into increments that fit the buyer's needs. Most often than not, these ranges consist of round numbers in increments of $25,000, $50,000, or $100,000. 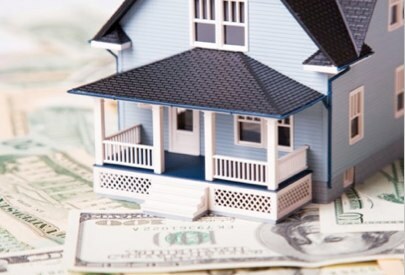 Price your property accordingly and make it fit in the lowest increment possible, so that your listing can capture searches that come close to what an "economy buyer" is looking for, but at the same time extremely affordable for someone's "investment portfolio". Regardless of what a buyer might say, there's always that one attribute that they're looking for - whether it's the location, amenities, security, or aesthetics and ambiance, the buyer is always keen to keep that secret from you so that it won't be used to "lure" him in to signing an offer. Unfortunately, there's no way to pry that attribute out of the buyer's mind, so the best thing you can do is to highlight the best ones your place has to offer; there's a 70% chance that it'll hit a home run. This is also where research on both you and your agent's end will work best, as "buyer's buzz" is something you'd want to tap in to in order to make your listing shine amongst the rest. How many times have you come across a product you've seen a picture of and right off the bat taken out your card to pay for it? The answer, most likely is 'often'. That's the same with real estate sales: as long as it's decent, presentable, current, and clean, your listing will shine. That's why we always stress the importance of good pictures in listings. If you don't currently have one, let your agent take on for you - they should have a good eye of what angles to take and spaces to highlight; at the end of the day, it's what we're here to do. If lowering the price and the right focus still won't do the trick for you, then perhaps the right marketing will. Don't be afraid to start over again if you feel like your listing has gone stale; maybe a little marketing can help land you a miracle sale. 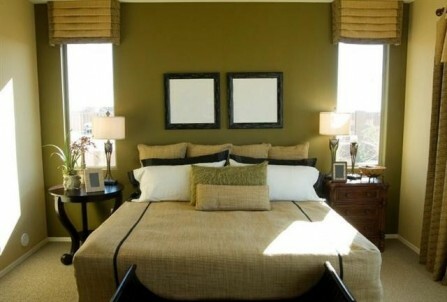 Property Staging, as commonly known in the real estate world, can do tons to show off and highlight your home. Pictures can do a lot of good, but it can also harm your hopes of selling if it doesn't quite showcase the right stuff. Staging spruces up your home, arranging it as if it's for a magazine shoot. This paves the way for interesting questions and conversation starters that could likely be the hook you need to catch that big fish.